Speaking about the Cliff Coast, Lonely Planet said, “The land is hard, the soul is not." It's here that Ice-Age landscapes meet west-coast warmth and unbroken views connect the mountains to the islands that dot the Atlantic. 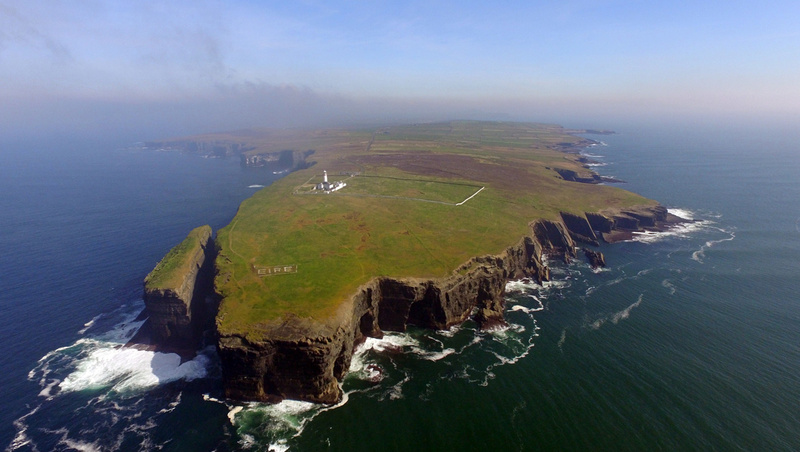 Improbable landscapes like The Burren and the Cliffs of Moher hum with rare plants, puffin colonies and dolphins, while Nobel Prize-winning poet Seamus Heaney described it as a place that can “catch the heart off guard and blow it open.” Enough said. 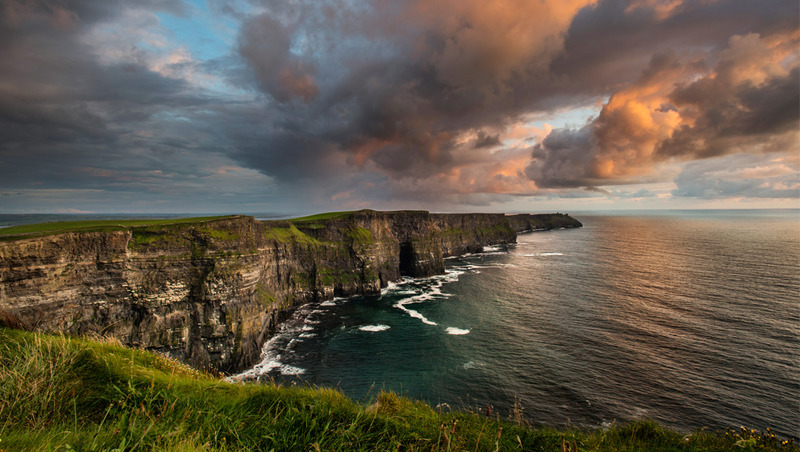 No Ireland bucket-list is complete without a trip to the Cliffs of Moher. Part of a UNESCO Global Geopark and Special Protection Area, these iconic rock stars soar to heights of 214 metres (702 feet) at their highest and are home to over 20 species of seabirds. 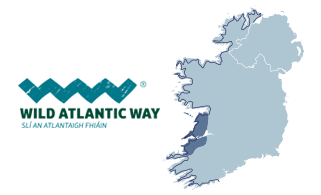 Signposted routes and nature trails make walking here a pleasure, as do the panoramic seascapes of the Aran Islands, Galway Bay, Twelve Bens mountains and the Dingle Peninsula. Insider tip: book online for the Cliffs of Moher Visitor Experience and you'll get the best rates, best times and guaranteed entry. 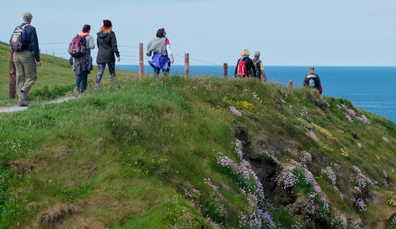 An easy guided walk to the Cliffs of Moher, the trail winds above the restless Atlantic and is a great way to experience history and raw beauty on Ireland’s edge. 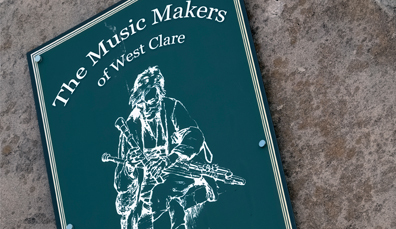 Lend an ear to The Music Makers and immerse yourself in traditional Irish music, song and dance. First-hand accounts and documentaries will get you up to speed on the Session! 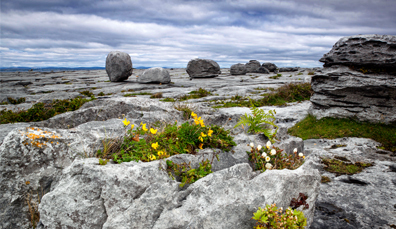 This peculiar limestone landscape has been likened to the moon and is home to 1,100 species of unique plants. Drive, bike or clamber around the alien terrain with an expert guide. Loop Head is a lot of things. Scenic peninsula, coastal drive, award-winning travel destination, maritime beacon and whale-watching paradise, to name a few. Huge Atlantic swells pound miles of sheer granite cliffs and weather-beaten caves, making for some dramatic road trips. Perched at its tip is Loop Lighthouse. Established in 1670, it claims views across the Blasket Islands and allows visitors to sleep in the Lightkeeper’s House. 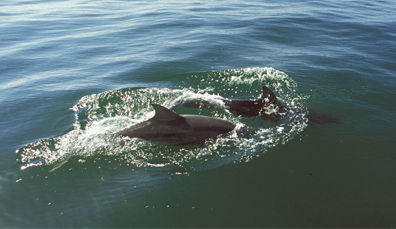 Take to the water by boat with 160 bottlenose dolphins that reside in the Shannon Estuary. Dolphinwatch brings you nose-to-nose with these incredible creatures. Once a trio of spectacular natural sea-arches, The Bridges of Ross eventually succumbed to coastal erosion. One bridge still stands beneath a seabird migration route. Island-hop across Ireland’s largest estuary. 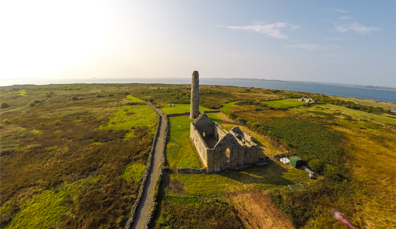 Monastic ruins and round towers dot the historic Scattery Island, while Foynes Island has a curious seaplane past. 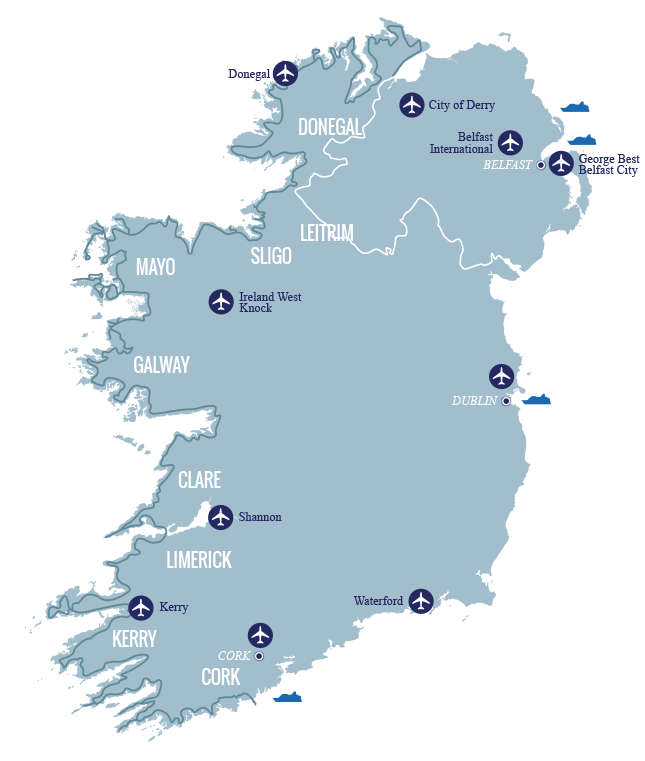 Download our Wild Atlantic Way map. 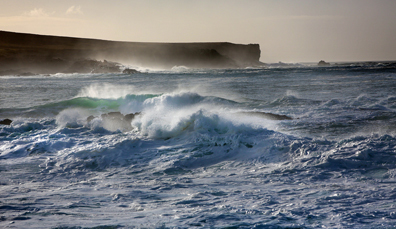 Continue your Wild Atlantic Way journey. Per Mews guesthouse per night (4/5 people). 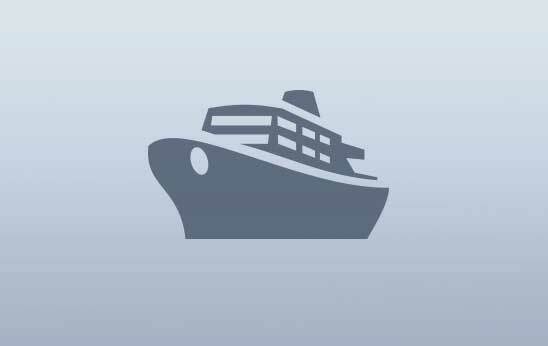 4-night minimum. The Barn House (8 people at €288 per night). T&Cs apply.